Have you noticed that on most online charts and graphics depicting popular characters’ Myers-Briggs personality types that the villains are almost always labeled with the INTJ personality? Palpatine from Star Wars, The Master from Doctor Who, Moriarty from Sherlock, The Governor from The Walking Dead, Mr. Burns from The Simpsons, and even the nosey, drama-causing maid O’Brien from Downton Abbey are all said to be INTJs. It seems if a character has any villainous intent, they are automatically assumed to be an INTJ without further dissecting their motivations or actions. 1. We are introverted, not anti-social. At some point in their lives, most introverts have had their quiet character misconstrued for rudeness or a dislike of other people. It’s this same misconception about the true definition of introvertsion that causes too many people to think most villains are INTJs. Introversion refers to the fact that we get our mental energy from being alone, and social situations drain us of this energy. That is why introverts prefer more quiet time and generally have fewer social contacts. While INTJs might prefer to turn down a party invitation for a quiet night at home, that doesn’t mean we hate people. Most of the villains listed above seem to have a general hatred for others, whether they kill people, try to take over the world, or just intentionally cause other people trouble. But having a deep-seated disdain for other human beings has nothing to do with how someone recharges their mental battery. Isolating yourself to recharge after a long day is not the same as isolating yourself because you loathe humanity. That, my friends, is anti-social behavior, not introversion. 2. We are rational, not emotionless. INTJs are Thinking types, meaning we make decisions using logic, not emotions. When you add that to our strong intuition, you get a personality type that excels at strategic long-term planning. But this leads to a misrepresentation of INTJs as emotionless evil geniuses with a secret plan to take over the world. Nothing could be further from the truth. We might excel at executing some type of world-ending scheme; however, it doesn’t mean we have the cold-hearted nature to want to do it in the first place. INTJs, just like the rest of the personality types, can feel a full range of emotions including empathy, sadness, anger, and joy. Labeling the majority of villains as INTJs hides the fact that most INTJs can actually be highly sensitive and compassionate people. In my own life, I’ve angered quite a few of my high school friends by having to leave the room if we were watching a movie that contained a scene where someone is being viciously tortured or hurt. I seemed to be moved by the character’s pain more than everyone else in the room, and I was the only INTJ there. Our ability to use our heads instead of our hearts to make a decision doesn’t mean we are incapable of empathizing with other people’s emotions. The callous disregard for others that is found in most villains is not an INTJ trait, it’s a sociopathic one. 3. We are achievement-oriented, not narcissistic. INTJs love to accomplish difficult tasks. Nothing feels better to us than using our minds to solve a complex problem or complete a challenging assignment. This love of achievement can get a little out of hand for us INTJs; for example, we might worry that we’re never accomplishing enough. But our love of achievement comes from an internal need to be intellectually challenged, not from a deep desire for fame and prestige. This is where the villains on the list above differ greatly from most INTJs. For example, The Master from Doctor Who lives a very public life, including campaigning for and eventually becoming the Prime Minister of Britain before he can act on his plan to capture The Doctor. Moriarty from Sherlock is famous for his attention-seeking and over-dramatic crimes, including a plot to break into the Tower of London and dress himself in the Crown Jewels. While I can’t speak for all INTJs, I do know from my own perspective that the very thought of the constant world-wide media attention that would come from holding a high office or orchestrating an elaborate crime spree would make me want to run and hide under a rock. Some argue that these villains don’t like the attention; it’s just a side effect of their evil plot. But I don’t buy that for a second. Just watch this clip of Moriarty and tell me he doesn’t enjoy it. Many of the villains labeled as INTJs have high ambitions and a list of impressive accomplishments, but they do it for their own ego, not just for intellectual enjoyment. In spite of our reputation, INTJs are not the cold-hearted evil geniuses the world has labeled us to be. Many INTJs might have the same quiet, goal-oriented, and rational nature as fictional villains, but once you scratch our surface, you’ll find that we don’t have the same anti-social and narcissistic traits that make most on-screen villains so diabolical. Though we may appear stern and stand-offish at times, it isn’t fair to assume that our personality type is villainous. Seminar for INTJs: Quistic offers a course for INTJ success. 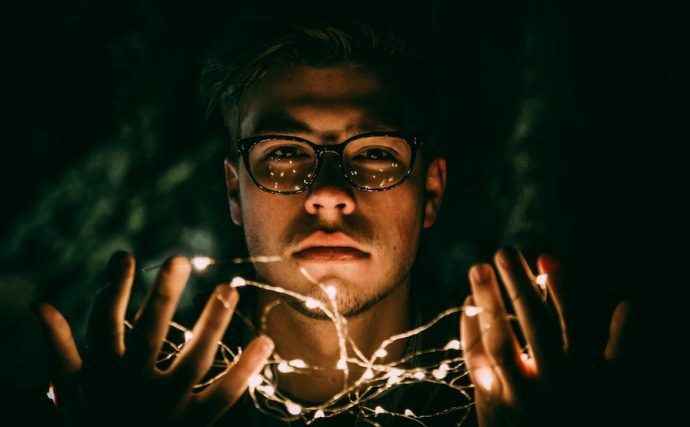 “Best Practices for Leveraging INTJ Strengths (and How to Be a Likable INTJ)” is a four-part webinar from success coach Penelope Trunk. Includes access to a private Facebook group with nearly 200 success-oriented INTJs. Learn more about the INTJ course here. Veronique is a professional blogger and the founder of Very Unique Marketing, a marketing enterprise that specializes in helping small businesses and nonprofits grow their online presence. She is an INTJ personality type who spends most of her free time reading and writing thriller novels and hanging out with her fiancé, Aaron, and their rescue dog, Oscar.